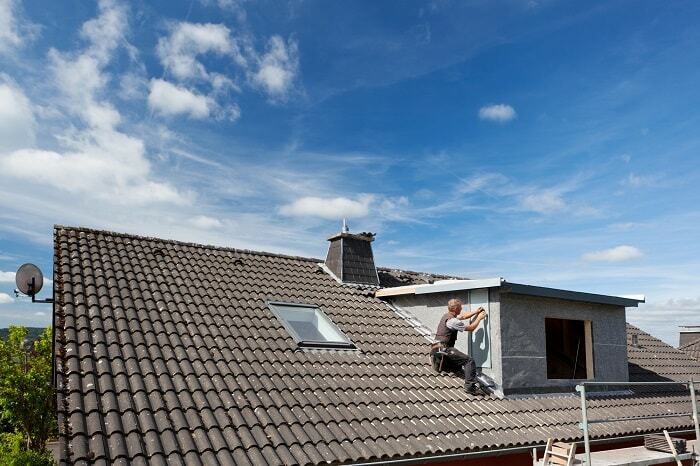 Is your home in need of some overdue repair work to the roof? ProRoofing is a team of professional roofers that strive to give you the best services available for roof repairs Christchurch. Call us today on 01202 518 763 and speak to our friendly team. We can get you booked in for a survey, consultation and quotation. ProRoofing is unparalleled in the world of roof repairs Christchurch, and our customer service is sure to leave you feeling happy and satisfied. No matter the size of the problem, our team of professionals can expertly rectify the issue; whether it’s a single roof tile or a complete roof replacement, we’ve got you covered. We have many years of experience in the trade and put them to good use. Our quality of work is unmatched, and we can give you expert advice on the best solution to any quandary. The first step to any Christchurch roof repairs is a complete and comprehensive survey. With your information and a thorough inspection of the problem, we can ascertain the exact nature of the problem, the root cause, and the solution. The suggested repairs will be as a result of the outcome of the survey. Generally, roof damage can be repaired, however, in some circumstances, a new roof may be required. 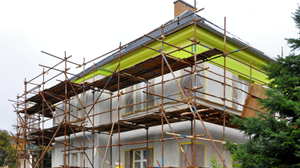 This can be down to repeated patching work being required, or more serious structural damage. Sometimes it’s possible to replace a section of the roof, but it’s always advised to replace the entire roof. This ensures structural integrity and soundness. Regardless of the issue, you can be assured ProRoofing have the skills and knowledge to take care of the problem in a timely and professional way. We will undertake all repair works with motivation and skill that overshadows other contractors for roof repairs Christchurch. Flat roofs are notorious for leaking, requiring regular maintenance, and often repairs. ProRoofing offer solutions that will not only repair the problem area, but can ensure the longevity and weatherproof elements of your roof. With the implementation of our Kemper roofing system, for example, we can deliver unmatched waterproofing performance. The Kemper system utilises KemperolTM, which is applied to a fleece layer, saturating it and forming a waterproof barrier after the resin cures. The Kemper system can be applied to any substrate, so if you feel your roof is in need of repairs too often, this system may help. A lot of the time roofing companies will install a slate roof without sufficient underlayment and omit the high-backed gutters. This can cause thousands of pounds worth of damage later in the roof’s life and is a common reason to use our Christchurch roof repairs. We can offer effective solutions and make sure your roof is up to proper standard. We always recommend maintaining the current type of slate, as opposed to mixed material repairing. Artificial slate should always be replaced with the same form of slate, and likewise with natural slate. If you’re installing a new roof, we always recommend natural slate roofs. They’re highly maintainable, durable, and the materials can often be recycled for use elsewhere. Different specifications of lead are used in the various areas of roofing and roof repairs in Christchurch. Joints and guttering use a lighter form, typically code 4 or 5, while the main roofing sections use code 7 or 8. ProRoofing can help sustain the health and performance of your roof by providing professional and effective roof repairs in Christchurch. If a lead roof has been installed without proper attention to detail, it will often develop problems caused by easily avoided mistakes. Such things as oversized sheeting, incorrect codes, inadequate fixings, and others can cause expensive damage. Minor tears and splits can be repaired with ease, but sometimes it’s necessary to renew and replace sections in the cases of more serious damage. The older a building is, the more likely is it that the chimney isn’t optimised for weather-resistance. Things like downdrafts, leakages, smoke leaks, tar build up, and even unwanted avian residents can all be problematic. Regular maintenance is required for working chimneys to maintain maximum draw and ventilation. ProRoofing has Christchurch roof repairs covered with our chimney repairs and improvements. We can install anti-bird guards, flue cleaning, and anti-draft chimney caps, as well as repair, maintain or replace leadwork. If your chimney’s brickwork is decayed, or otherwise insufficient, we can repair the damaged areas by repointing the stack’s brickwork or replacing as necessary. ProRoofing is a team of dedicated and highly skilled tradespeople, which are motivated to exceed your expectations. Everyone is fully qualified, CRB checked and experienced in the field. 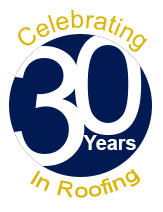 We have over 30 years’ experience in order to offer the best advice and implement the highest tier of repairs. We have strict environmental policies, which ensure a reduced footprint and minimises waste. We encourage recycling wherever possible, reducing the amount of raw material needed. This not only helps the environment but helps keep costs down, which we reflect in our exceptionally competitive prices. Our solutions all have long-term environmental benefits as well, and we’ll continually assess our environmental policy for our roof repairs in Christchurch as we move forward. Any new and improved technology and techniques will be assimilated into our policies. We also have a strong rapport for the maintenance and repair of historical buildings, so they stay protected and stable. We appreciate historical buildings and love helping to make sure that they stay appreciated in substance, instead of just pictures in a history book. For superior roof repairs in Christchurch, call ProRoofing today on 01202 518 763. We will give you the most professional and competitively priced solutions, expert advice, and exceptional customer service available. Alternatively, you can contact us using the online form or via email at office@pro-roofing.co.uk. We’ll reply to you with haste, and answer any queries you may have. Don’t risk further damage to your property, if you think your roof is damaged, call us as soon as possible.